Do you, or someone you know, have a child who was born between January 1, 2015 and December 31, 2015? If you do, plan to attend the Wellness Check for School Entry 2020. 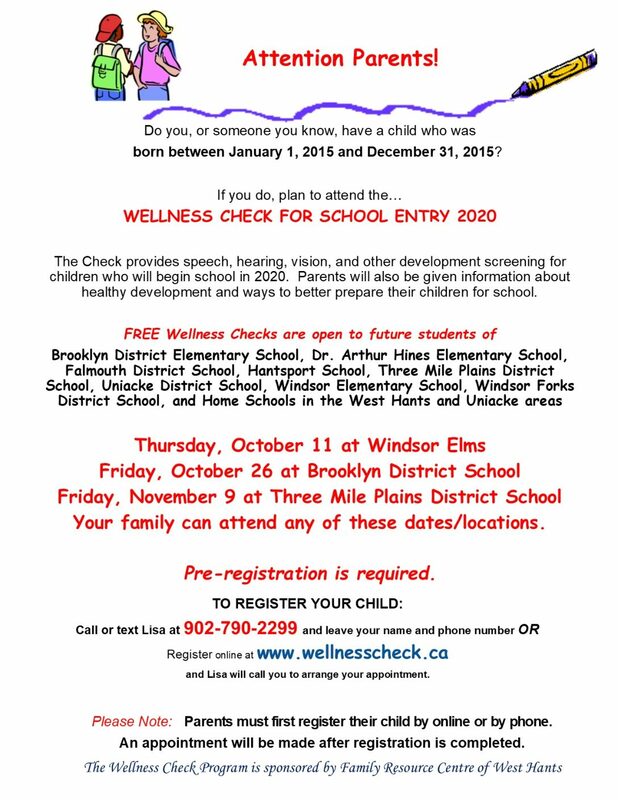 The FREE wellness checks are open to future students of: Brooklyn District Elementary School, Dr. Arthur Hines Elementary School, Falmouth District School, Hantsport School, Three Mile Plains District School, Uniake District School, Windsor Elementary School, Windsor Forks District School, and home schools in the West Habts and Uniake areas.